The 36-year-old TV actress Sophia Bush, who was named the Tournament of Roses Parade Queen at age 17, in a floral blouse on the set of the “False/Positive” in Brooklyn, NYC. The 36-year-old actress Sophia Bush in a plaid suit was seen out in NYC. The 36-year-old actress Sophia Bush, who in 2015 began dating Jesse Lee Soffer, attends the Hollywood Reporter’s 9th Annual Most Powerful People in Media in NYC. The 36-year-old TV actress Sophia Bush in a red leggings was seen out in West Hollywood. The 36-year-old TV actress Sophia Bush, who was named the Tournament of Roses Parade Queen at age 17, in a beige coat leaves Craig’s Restaurant in West Hollywood. 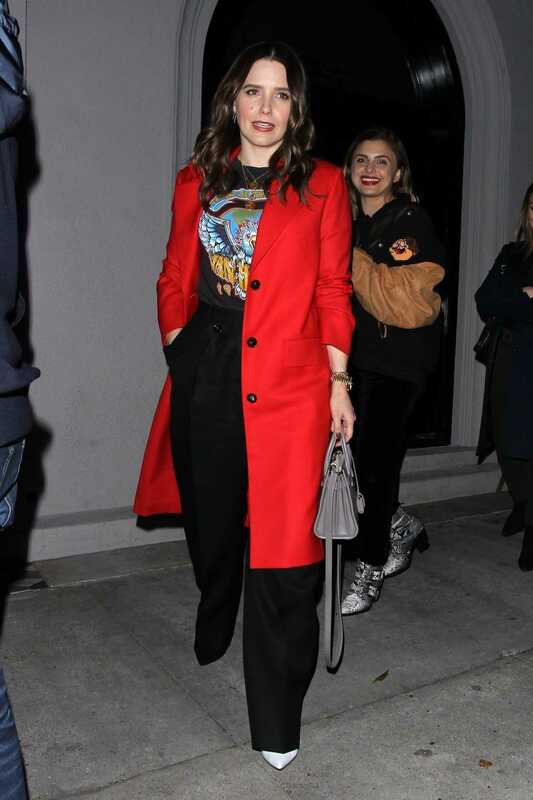 The 36-year-old actress Sophia Bush in a red coat leaves Craig’s Restaurant in West Hollywood. The 36-year-old actress Sophia Bush, who appeared on the series “Nip/Tuck” and “One Tree Hill”, in a beige coat out for a coffee in Los Angeles. The 36-year-old actress Sophia Bush attends “AZ and the Lost City of Ophir” book discussion in Los Angeles. The 36-year-old actress Sophia Bush, who in 2015 began dating Jesse Lee Soffer, in a blue evening dress arrives at Craig’s Restaurant in West Hollywood. The 36-year-old actress Sophia Bush, who appeared on the series “Nip/Tuck” and “One Tree Hill”, attends the 23rd Annual Art Directors Guild Awards in Los Angeles.